There are only 90 days until Black Friday. That’s just under 13 Weeks—and isn’t that a lucky number? Lucky for you, since I’m here to remind you it’s never too early to start preparing for Christmas. 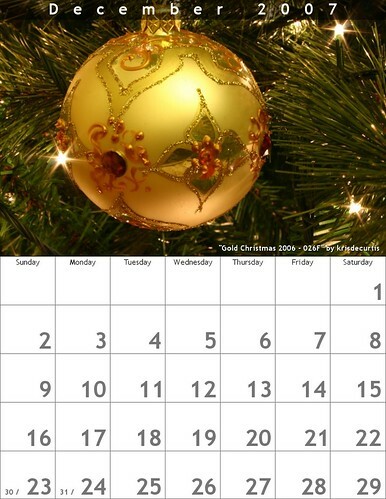 As Dave Ramsey always says, “Christmas is not an emergency.” December 25th arrives on the same day, every year! So, why do we find ourselves scrambling for cash, rushing out on Christmas Eve for last minute shopping or paying extra to overnight gifts & Christmas Cards? The 119 days until Christmas might sound pretty far away, but it creeps up very quickly if you aren’t planning ahead. I wasn’t kidding on Viva la Value, when I mentioned that I start shopping for the holidays, right after the holiday. So far, I have stocking stuffers in my gift closet, a picture of the girls selected for our Photo Cards and a spreadsheet that lists our holiday budget, the people we’ll buy for and ideas for gifts as I think of them. But the bane of my existence? Those Holiday Cards! I always come up with these awesome ideas, but they either don’t get executed, I’m stressing at the last minute or I give up on the timing altogether & call it a New Year’s card. The only reason I ever managed to get Baby Announcements out all 3 times is that I prefilled as much as I could & had dedicated alone time in the hospital to finish them! If you haven’t already assigned a number to your holiday budget, discuss it now. Make a list of everyone you intend to include on your holiday gift list. Decide if you want a formal or casual family portrait. Start adding non-perishable baking supplies to your grocery list each week—a little each week will have you fully stocked before the first cookie exchange! Win a $50 coupon code from Cards Direct to buy your Christmas Photo Cards early! For your extra entries to be counted, be sure to leave an additional comment directing us to your entry. Only one additional entry per method (i.e. While multiple tweets are appreciated it, only one will count as a drawing entry.) The contest runs until 9/2/10 at 11:59pm est. One winner will be notified by email on 9/3/10 and receive a coupon code for 25 greeting cards (up to $50 value). Winner will have 48 hours to complete the claim form or a new winner will be chosen. I received, through my participation in the Global Influence Network, a set of cards for myself as compensation for this post, but all opinions are 100% mine. I do the same. Even if I don’t actually go shopping right after the holidays, I have an envelope in my budget for gifts and add a specific amount of money each month based on how many people I have to buy for. I make sure I include all birthdays, Christmas, etc. It works well for us. Well one of the ways i keep it from sneaking up on me is I plan all year! If i catch something on sale and I think that I can give it as a gift or something! I love sales and clearance!!! I just shop all year !!! I start my shopping the week after Christmas-oh the deals! Throughout the year I purchase some things on clearance debating if it will be given for a birthday gift or a Christmas gift. I finish everything up on Black Friday and usually have all my wrapping done a week later. I won’t need any wrapping supplies because I got them super cheap the week after Christmas-you can find some great things that week that are good gifts for anyone! I also subscribe to your site. Oh, another tip is to check out Ebay for some of those more expensive items such as American Girl dolls-you can often get it for as much as 50% off and they will sometimes come with extra clothes and your daughter won’t care where it came from she just really wanted to have it! I just told the Facebook world all about this! One last tip-I don’t usually shop at the mall, but the week after Christmas you must go! The Hallmark store will have all it’s awesome ornaments at least 50% off which makes awesome gifts for next year plus any other Christmas related items like stuff from Jim Shore, JCP and other stores will have those great pajama sets and robes on clearance, Bath and Body Work will have it’s gift sets clearenced and those keep very well-the soap will not go bad for a very very long time. I keep the holidays from sneaking up on me by rigorous planning and scheduling of things that need to be done! I pretty much do holiday shopping year-round. If I see a perfect gift at a great price, I have to buy it. It makes the holidays less stressful because I don’t have to spend a huge amount of money at once. The best is when I win gifts for people!